The lab culture method is the oldest and most widely accepted method for the detection of Legionella bacteria in the world. This method, in which live Legionella bacteria are cultured on an agar plate in a laboratory, is still considered the ‘Gold Standard’ of Legionella detection today and despite emerging research which highlights its limitations, is encouraged in practically all water management guidelines to date. In recent years, a number of research papers have been published which scrutinise the effectiveness of the ‘Gold Standard’. Here you will find a summary of their concerning findings, as well as the implications for water management professionals and regulators. 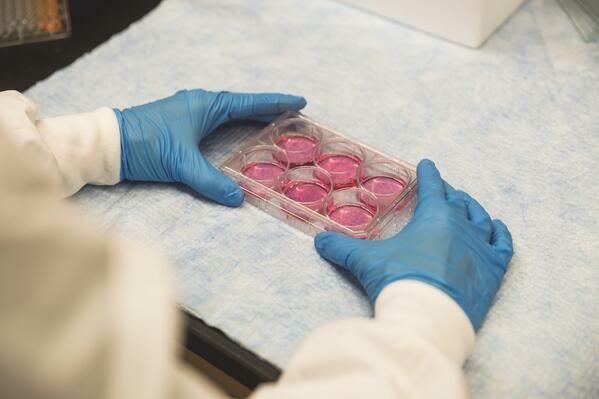 To run a laboratory culture test, samples must be taken from location and transported to a lab with the proper equipment and personnel to carry out testing1. It is crucial that the sample is not exposed to excessive heat or radiation and paperwork must be filled out meticulously to ensure that the results of the test are not compromised. Unfortunately, in many cases samples are shipped without proper care and it is extremely difficult to ensure that the sample hasn’t been compromised or altered1. Time is of the essence when it comes to microbiological samples and it is possible for other bacteria in the sample to dominate any Legionella present as they fight over limited resources available3. By the time your sample reaches the lab, the amount of Legionella present may have been severely diminished or damaged – resulting in misleading results such as low CFU counts or false negative results1. When multiple species of bacteria are present in a sample, other bacteria can dominate Legionella’s growth on the agar plate in the lab, making it impossible to provide an accurate result. When this happens samples must be treated with acid and heat, as stated in the ISO standard2. This process kills other bacteria in the sample and allows Legionella to grow2. However, the process can actually be counterproductive in that it can reduce Legionella cultivability3(its ability to replicate), resulting in less accurate results and false negatives. In the natural environment Legionella pneumophila, which accounts for most cases of Legionnaires’ disease in the world, has a complex lifecycle which depends heavily on access to nutrients and protection from amoeba4- found in biofilm, scale and sludge. Legionella pneumophila is an intracellular parasite which replicates within amoeba until it exhausts its resources, shifts to a lower metabolic state, grows a flagellum and exits the amoeba, using the flagellum to search for another host5. The Lab culture test uses artificial media rather than amoeba so the reproduction process is unnatural and suboptimal for the growth of Legionella, which can result in misleading or incorrect results3. Legionella, when shocked due to temperature, biocides, lack of nutrients or other stress-inducing factors, can enter a dormant state6. This dormant state is called Viable but Non-Culturable (VBNC). In this state, Legionella are still highly dangerous9, but the Lab Culture method will NEVER detect them, as they cannot be cultured6. As mentioned above, not all stages of the Legionella lifecycle are easily replicated or detected using the Lab Culture method. In fact, even the most hazardous phase of the Legionella’s lifecycle (the motile phase) - in which Legionella exit amoeba and re-enter the water system in search of a new host, such as other amoeba or human lung cells - cannot be easily detected by the Lab Culture method7. The reason being that this is not a naturally replicative state for Legionella bacteria. Lab Culture is Just TOO SLOW! All traditional Lab Culture tests take 7-14 days to return results and thus, always provide a historical view of the system being tested. Slow time to result is a very high-risk factor, especially since the risk of acquiring Legionnaires' disease can increase by 64% for every hour spent near the source of an outbreak8. This large time lag between sample collection and result delivery means that conditions in the system are no longer represented by the result given, providing water management professionals and duty holders with a false sense of security or a positive result which is two weeks too late. Waiting this long for a result can leave workers and the general public exposed to an infected and dangerous system for much longer than is necessary with the technology that is available today. A recovery rate is the percentage of positive samples which are successfully detected by a testing method. In other words, it is a methods accuracy in detecting positive samples as positives. Despite being the most widely accepted method, Lab Culture has a surprisingly low recovery rate. For many of the reasons stated above, the method has an estimated recovery rate of only “>64%” – that means up to 36% inaccuracy in test results2. And that just for ISO accredited labs! Those labs which do not have ISO accreditation are likely to have a recovery rate which is even lower. After the 7-14 day wait, laboratory results are typically supplied in a written report format. These results then have to be properly interpreted. This process delays any corrective action further and relies heavily on the ability of the duty holder to understand the results and the impact on their facility. Despite its long-standing relationship with both industry professionals and regulators, the limitations of the Laboratory Culture test can no longer be ignored by the industry, especially when new, faster, more accurate technologies are being introduced to the market every day. 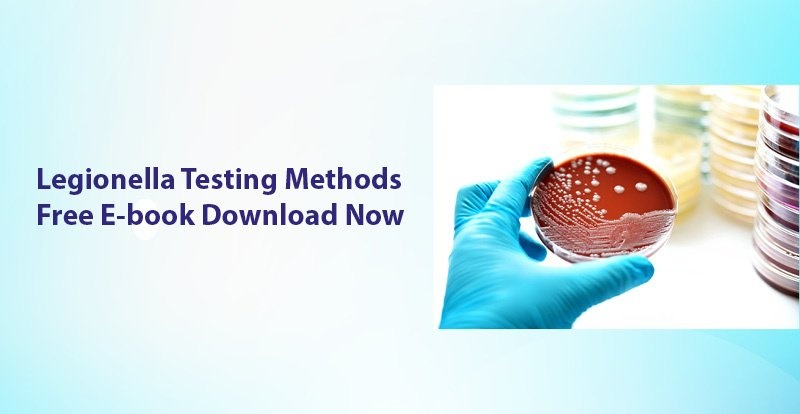 Alternative methods such as PCR and antigen testing are faster, more accurate and can protect against the limitations of the Lab Culture method, and the consequences of these limitations of public health. Cases of Legionnaires’ disease are growing at an alarming rate all over the world and the implications for public health are not only underestimated, they are serious. Now, more than ever, duty managers and water management professionals have to take a proactive approach in reducing the risk of Legionnaires’ disease to protect the lives of vulnerable persons all over the globe. Regulators also have to recognise that the accuracy of the “gold standard’ is unquestionably limited. New emerging technologies deserve and need a place in Legionella regulations and guidelines if we are to combat the global rise in Legionella. Enquire today to find out how you can protect your facility from the limitations of the lab culture method. McCoy, W., Chen, K., Neville, M., Devender, S., Downes, E., Leonidas, L., Cain, M. and Sherman, D. (2012). Inaccuracy in Legionella tests of building water systems due to sample holding time. Water Research, [online] 46(11), pp.3497-3506. Available at: https://www.sciencedirect.com/science/article/pii/S0043135412002369 [Accessed 17 Apr. 2018]. Water quality — Enumeration of Legionella. (2017). ISO International Standard, (11731). Lee, J., Lai, S., Exner, M., Lenz, J., Gaia, V., Casati, S., Hartemann, P., Lück, C., Pangon, B., Ricci, M., Scaturro, M., Fontana, S., Sabria, M., Sánchez, I., Assaf, S. and Surman-Lee, S. (2011). An international trial of quantitative PCR for monitoring Legionella in artificial water systems. Journal of Applied Microbiology, [online] 110(4), pp.1032-1044. Available at: https://www.ncbi.nlm.nih.gov/pmc/articles/PMC3564408/ [Accessed 17 Apr. 2018]. Linder, J. (1999). Free-living Amoebae Protecting Legionella in Water: The Tip of an Iceberg?. Scandinavian Journal of Infectious Diseases, [online] 31(4), pp.383-385. Available at: https://www.ncbi.nlm.nih.gov/pubmed/1052887 [Accessed 11 Mar. 1995]. Price, C., Richards, A., Von Dwingelo, J., Samara, H. and Abu Kwaik, Y. (2013). Amoeba host-Legionellasynchronization of amino acid auxotrophy and its role in bacterial adaptation and path- ogenic evolution. Environmental Microbiology, [online] 16(2), pp.350-358. Available at: https:// www.ncbi.nlm.nih.gov/pmc/articles/PMC3946891/ [Accessed 17 Apr. 2018]. Ramamurthy, T., Ghosh, A., Pazhani, G. and Shinoda, S. (2014). Current Perspectives on Viable but Non-Culturable (VBNC) Pathogenic Bacteria. Frontiers in Public Health, [online] 2. Available at: https://www.ncbi.nlm.nih.gov/pmc/articles/PMC4116801/ [Accessed 11 Mar. 1995]. Garduño, R. (2007). Life Cycle, Growth Cycles and Developmental Cycle of Legionella pneumophila. Infectious Diseases And Pathogenesis, [online] pp.65-84. Available at: https://www.researchgate.net/publication/226814524_Life_Cycle_Growth_Cycles_and_Developmental_Cycle_of_Legionella_pneumophila [Accessed 11 Mar. 2019]. Jernigan DB, e. (1996). Outbreak of Legionnaires' disease among cruise ship passengers exposed to a contaminated whirlpool spa. - PubMed - NCBI. [online] Ncbi.nlm.nih.gov. Available at: https://www.ncbi.nlm.nih.gov/pubmed/8596266 [Accessed 31 Oct. 2018].